The Stingerette ride request system is Tech’s premiere Uber-esque service, offering rides to anyone from students studying on campus at the wee hours of the night to those who can typically be found at the library seven nights a week. 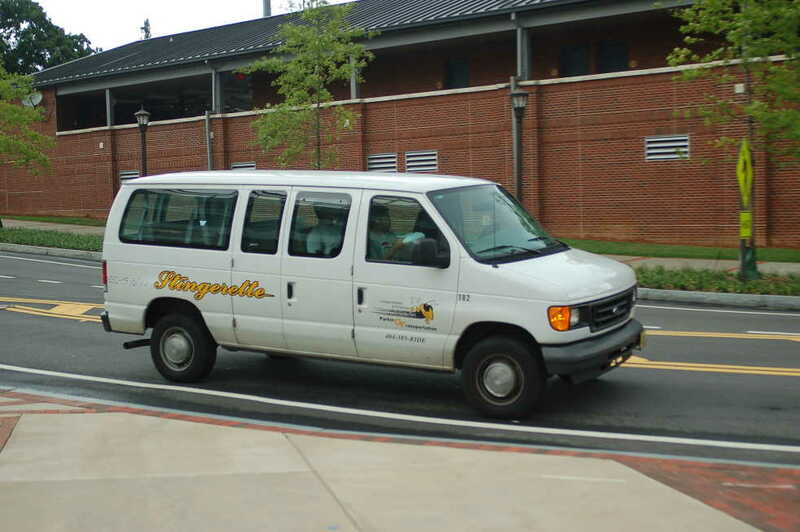 The Stingerette has run for nearly a decade, providing students with a quick, safe and reliable option for on or off-campus transportation throughout the night. Running from 6:00 p.m. to 7:00 a.m. every night, the service was created to ensure the safety and welfare of all students on campus. Over the summer semester, the Georgia Tech Police Department (GTPD) and Parking and Transportation Services (PTS) quietly rolled out a series of upgrades to improve the Stingerettes’ utility and ease of use for students and drivers alike. Given that the Stingerette system is a late-night service, many steps have been taken to address concerns for safety on campus. Not only is the Stingerette clearly marked and labeled, but there are also gold lights at the top and back of the vehicle, making it abundantly clear to the student that their ride has arrived. The lights also help students to find the Stingerette in darker areas, like off-campus housing, and can be very useful in illuminating students’ path to their destination. In addition, the Stingerette mobile app now lets users track the vehicle and make multiple stops on the way. Users can track their driver from the moment they are assigned one, to the time their ride has arrived. Additionally, a new estimated time of arrival range is presented to students waiting for their ride. For those who are next in line, an approximate pickup time is now displayed. The app allows users to adapt their trip as necessary. For example, a student who knows their roommate is leaving the Student Center can request that their driver pick them up as part of the initial journey. The app’s new theme, designed in part by PTS, encompasses the principle of making a ride more personal and enjoyable through the deployment of these new features. Riders are also able to find information about their assigned driver, as well as details about the vehicle they will be picked up in, all through the redesigned app. The Tech Parking and Transportation Services welcomes feedback from students and allows them to leave comments about their experience with the system. Feedback can be given on the Stingerette website, which can also be used to ask questions and request rides.